Spectacular handmade large eight-light chandelier of the highest quality, with six candle lamps plus two pygmy lamps in the cut glass bowl. 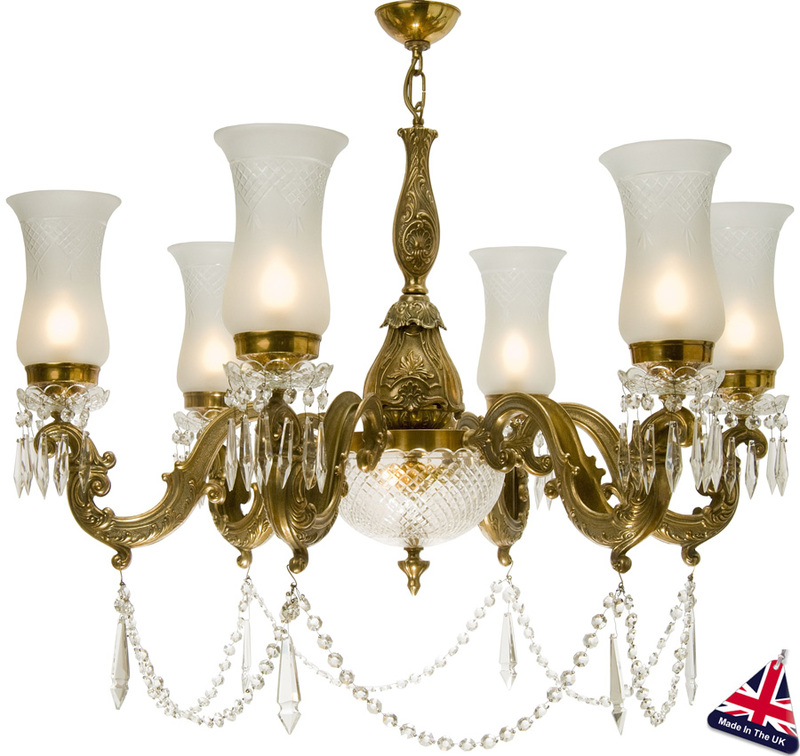 Finished in old gold with mouth blown brilliant cut shades and an abundance of cut glass drops to give opulent splendour. Min height 880mm – Max height 1330mm. Weight 21Kg.